Premium Quality Cast Iron Skillet | FINEX Cast Iron Cookware Co.
With a shared lid, our 5 Qt. Dutch Oven & 10″ Skillet set delivers our premium, functional design take on two classic cast iron pieces at a special price. Like all our cookware, our 10″ Skillet & 5 Qt. Dutch Oven share the same FINEX functional design DNA. 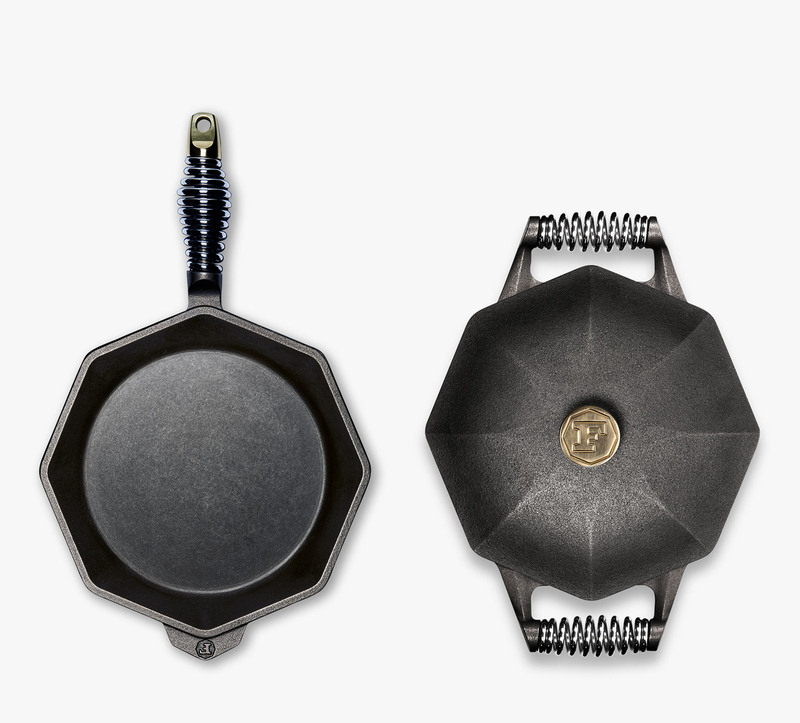 Stainless steel spring handles, organic flaxseed oil preseasoning, easy-pour octagonal sides and heavy-gauge, 100% made-in-the-USA premium cast iron construction ensure each piece looks good – and cooks better – together. The addition of a shared lid offers extra versatility in a more convenient and affordable package.